Sometimes, the best waterfowl action occurs nowhere near water. Cash in on honkers and puddle ducks on dry land this season. 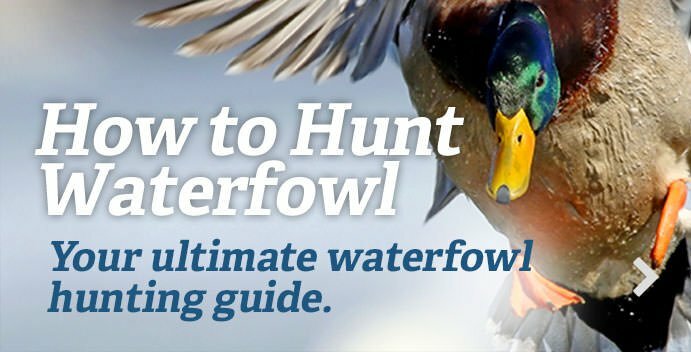 Most folks associate waterfowling with lakes, marshes and rivers, but some of the best hunting occurs where birds — and hunters — don’t get their feet wet. All types of geese and many puddle ducks — mallards, pintails, black ducks and, to a somewhat lesser extent, wigeon, gadwalls and greenwings — have adapted to the modern landscape and feed heavily on waste grain in agricultural fields, including corn, beans, peas, wheat, oats, rye, barley and others. Some birds eat crops almost exclusively during their treks north and south, and others might only visit fields now and then. But there will be at least some birds in some type of crop field throughout waterfowl season. Action really heats up late in the year, when cold temperatures spur ducks and geese to feed heavily on nutritious grain. You can experience some incredible hunts lying on your back on frozen stubble. And although field-hunting requires special equipment and a different mind-set, it’s fairly easy after you learn the ropes. As in real estate, the most important aspect of field-hunting is location. The specific field is important, of course, but the precise portion of that field birds favor — the X, as most call it — can be more critical. But where will birds be, and when? That depends on the time of year and progress of the harvest. During early fall in the North and Midwest, farmers won’t have all their crops off, so ducks only have a few buffet tables from which to choose. Good options include rye, oat, wheat, barley and, in some areas, pea fields. As autumn progresses, landowners harvest more crops, and birds have more choices — including corn, which might be their favorite. As more food becomes available, birds spread out and can become more difficult to pinpoint. There might be 50 prime-looking fields near a major roost, but only one or two might attract mallards or geese. Why? Perhaps that magical field has the most waste grain, or maybe birds have already cleaned out other nearby fields. But the point remains: To really cash in, you need to find the hot field, and that involves lots of driving and hours of observation. Scouting can be simple. The most basic method simply involves driving around agricultural areas and glassing fields for feeding birds during the morning or evening. Typically, I’ll look at aerial photos and find a 10-mile section I can cover in a few hours. The area must have two elements: lots of agricultural fields and several large potential roosting waters. If there’s a state or federal refuge nearby, all the better. Adjust your scouting based on conditions. Early in fall during stable weather, ducks and geese typically make two feeding forays per day; one at dawn, the other at dusk. During storms or otherwise bad weather, they might leave the roost late and make only one feeding flight, staying in a field most of the day. And when frigid weather hits, birds might only feed once per day, usually right before dark. Drive in a loose grid pattern, and try to view as many fields as possible. When you pass a potential spot, glass for birds. Of course, if you see large flocks working a field or flying from a roost, immediately follow them and try to determine where they’re feeding. If you don’t find birds immediately, don't panic. Complete the grid search, rule out unproductive areas and choose another area to search the next day. This is often the norm, but it shouldn’t discourage you. Field-hunting often involves several days of scouting and glassing in exchange for one bang-up shoot. The second road-scouting method involves starting at the source. If you know where mallards and geese are spending the night, start your search there, and follow birds as they fly out to feed. If they’re staying within a mile or so of their roosting water, the task becomes easy. If they’re traveling several miles, it might take a day or two to nail them down. But at least you’re starting with the No. 1 commodity — birds. When you find a hot field, there’s more work involved. First, note the exact location where birds are feeding. Often, setting up in the field isn’t enough, especially if it’s large. You want the spot on the spot to decoy birds sure-kill close. Also, try to plan where you’ll hide your vehicles and how you will enter the field and set up. Then, the real task begins: You must gain permission to hunt the field. If you’re familiar with the area and know many of the landowners, the job is easier. You might be able to call a friendly farmer and ask to hunt. If you’re not familiar with an area, you must determine who owns the property and how to reach them. Modern cell-phone apps, including OnXmaps Hunt, let you do this quickly. Then, you just have to contact the owner and seek permission. Accessibility can vary. In some parts of the country, farmers don’t mind folks shooting ducks and geese — which they often view as nuisances — on harvested fields, provided guests don’t litter, carve ruts in the ground or cause other problems. In other regions, gaining permission can be more difficult, especially during gun-deer seasons or if landowners have been pestered repeatedly about hunting. There’s no secret to gaining access: Be polite, direct and friendly. Provide your name and contact information, and tell the farmer when you plan to hunt and how many guns will participate. If the landowner refuses, abide by that decision, but try to establish a relationship for potential future opportunities. If you gain permission, thank the landowner, obey his rules and follow up with a gift of some sort. Field-hunting can be as simple or complicated as you make it. I’ve known folks who shoved keeled decoys into chisel-plowed fields, lay on their backs and killed limit after limit of ducks. Conversely, some friends have shelled out big bucks for blinds, decoys and other gadgets before killing their first bird on high ground. I wouldn’t go to either extreme, but I’ve learned that specialized gear makes field-hunting easier and better. Obviously, because you're placing decoys on a flat, hard surface rather than water, it helps to have field decoys. These include shells, silhouette, wind-socks and full-body models. Each has advantages and drawbacks. For example, full-body decoys look extremely realistic, but they’re more expensive and cumbersome to carry. Shells provide 3-D realism and stack easily for transport, but they’re still large. Silhouettes are less expensive and easy to carry, but they’re only two-dimensional. And wind-socks droop and lose their effectiveness when it’s calm. Many folks prefer a mixture of decoy types, including some full-bodies for maximum realism, silhouettes to boost numbers and wind-socks to add depth and impart motion. You probably don’t need anything but honker or, in some areas, snow goose decoys for field-hunting. Puddle ducks often associate geese with security, and they will decoy readily to geese feeding in fields. Geese, on the other hand, usually prefer to see their own kind before committing. However, a mixture of geese and ducks seems to work well, too. The number of decoys in your spread depends on many considerations. If you’ve found a red-hot field, you can decoy more birds with a spread of two dozen decoys than a guy down the road with 100 blocks. However, it’s usually best to go larger with field spreads. Migrant ducks and geese feed in large flocks, and they associate numbers with safety. Use as many decoys as you can transport. If that’s only four dozen crammed into two trucks, so be it. If you can fit 200 in a trailer, great. Or if you’re chasing light geese in big country, you might need 1,000 or more. During dry conditions or after the ground freezes, landowners might let you drive on their fields. That makes transporting decoys easy. Otherwise, you’ll have to make several trips from your truck to the X. Using a plastic sled or rickshaw-like transport can ease the load. Field decoy setups don’t have to be elaborate. Keep spreads loose, and make sure there’s a large landing area right where you want to shoot birds. U- or crab-shaped configurations work fine, as do similarly shaped spreads with three or four stools of decoys. However, remember four special considerations. If you’re mixing species, place goose decoys downwind of duck decoys. They’re larger and more visible. Further, birds typically feed into the wind in fields, and ducks often try to stay ahead of geese when on the ground. Second, place decoys around the shooters to conceal yourselves. If you simply hide upwind of the spread, geese and ducks will often pick you out and flare. If they see only decoys at your shooting positions, however, they’re more likely to finish. That leads to consideration No. 3: It’s usually best to put the most realistic decoys around your setup. As birds get closer, they’re constantly scrutinizing the spread, and having your most convincing fakes around the shooters — the most critical position — helps lure flocks close. Last, add some motion to your setup. Flagging is a time-honored technique for geese, and it also works for field ducks. Try one of the many commercially manufactured goose flags, or make your own using a dowel rod and durable material. Spinning-wing decoys work well for ducks in fields. Choose models with remote controls so you can turn the wings off as ducks make their final approach. Motion typically attracts birds from long distances, but it also seems to flare many flocks as they get within about 60 yards. If you’re mostly hunting geese, leave the spinners at home. In my experience, geese flare from motorized decoys. Concealment is the final key to field success. Again, this can be simple or elaborate. Some guys lie prone in their decoys, many use portable layout blinds and a lucky few have elaborate concrete pits. Blinds are great, but birds in many areas have caught onto them somewhat. You pretty much have to use them in fields that resemble putting greens, such as cut wheat or stalk-chopped corn fields. Place them almost side by side to avoid creating several suspicious blobs. Make sure the blinds have been “mudded” so they aren’t shiny or bright. Further, brush them in with similarly colored cover from the field or nearby vegetation. In hay fields or other situations, ghillie suits provide a good option. And of course, use any natural cover to your advantage, whether it’s a ditch, fence line, standing corn or even a rock pile. Calling while field-hunting is probably more important for geese than ducks, and you could write a book on the subject. This is a massive oversimplification, but use whatever calling is necessary to get the attention of birds, turn them your way and entice them to finish. Some days, ducks or geese just want the field, and you might not touch your lanyard. Other days, you might hail-call and comeback-call to convince skittish birds. Be proficient with your calls, read the reactions of birds and be ready to adapt to their behavior. Appoint a pit boss to call the shots. There’s nothing worse than luring a flock of mallards close only to have them fly away because everyone was being polite. A pit boss should call “now” or “take ’em” at the moment of truth. Some days, birds will commit with wings cupped and feet down. Others, they might land short or flare at 40 yards. Adapt to their reactions, and call shots appropriately. Above all, enjoy. There’s nothing finer than a meal of fat, grain-fed ducks or geese. Better, you won’t have to worry about sodden gear or wet dogs.